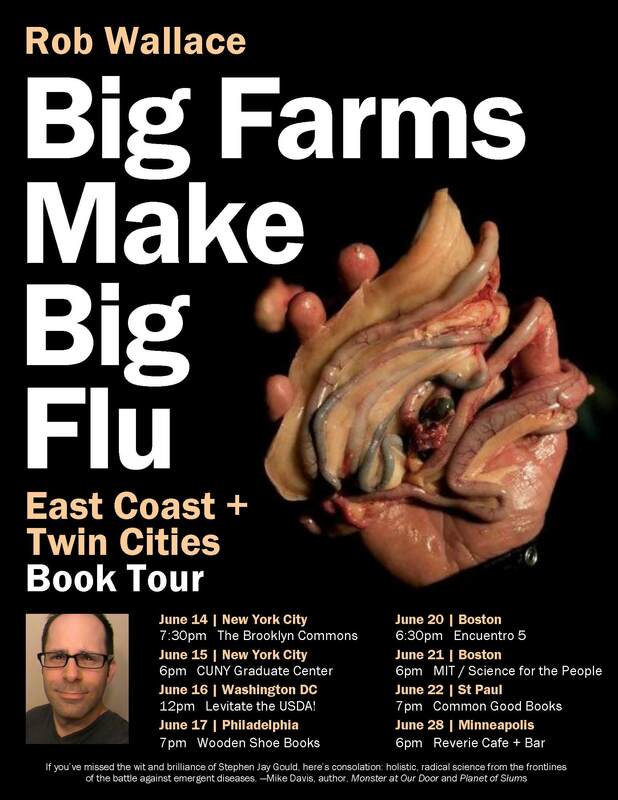 This entry was posted on June 6, 2016 at 5:27 pm and is filed under Ecological resilience, Evolution, Farming Human Pathogens book, Revolution with tags Ashley Dawson, Big Farms Make Big Flu, book tour, East Coast, Science for the Peeople, Siena Chrisman, USDA. You can follow any responses to this entry through the RSS 2.0 feed. You can leave a response, or trackback from your own site.